I have to give a shout out and huge thank you to my buddy, Jorge Espinoza of the site animebeers.com for sending me this amazing beer from The Bruery. This brewery is not available here in TX, so I do have to rely on friends like Jorge to get me beers like this. I appreciate it immensely. One thing about The Bruery that I really like, is that when you see a bottle, you quickly know that it belongs to them. They all use a shield crest shaped label on all their bottles. Again, Mash is labeled with their usual shield label that is colored with a gold and reddish sunburst background, and their usual text placing with their logo on top in red, with the word “Mash” in the same red with a golden outline. The beer style and brewing notes are under the beer name, as they usually are on all their labels. They are always so simple, yet very eye catching. It has to be the colors they use. They work so well together. Poured into a BS Brewing snifter glass, Mash was a hazy reddish, brown color, which looked very similar to iced tea. It did not drink like iced tea, though. It was topped with a half inch light khaki colored foamy head, which reduced to a thin layer in moderation, leaving soapy lacing down the glass. The aroma has a good blend of dark fruits, like raisins, plums, dates, figs mixed with rich caramel, mashed up bananas, plantains, toasted coconut, pear, vanilla, toasted wheat bread, brown sugar, and bourbon soaked oak wood. There was a strong presence of booze with a nice bun in the nose. The oak wood, toasted coconut, and banana being the dominant characters that stick around and linger a bit after each whiff. The taste has all the same characters as the aroma. Hitting the palate first are big flavor of caramel, toffee, mixed with some dark fruit flavors of raisins, plums, dates, and figs. There is a solid body of toasted coconut, tasted wheat bread, vanilla, and sweet brown sugar. Towards the end there is good heat from the bourbon barrel aging with flavors of bourbon soaked oak wood. The finish is full of mashed up bananas, cooked plantains. This flavor lingers along with the toasted coconut. One thing comes to mind and that is Capirotada raisin bread pudding. The body was heavy and thick, with a rich creamy, silky mouthfeel. There was a nice, sweet sugary residue left on the lips after each drink I took, which worked awesome with the lingering aftertaste. Overall, this was a phenomenal beer from The Bruery, but then again, so far in my opinion of the beers I have had from them, they have never disappointed me. The Bruery has reached cult status in the beer scene, and their beers are sought after by beer traders wherever their beers are not available, like here in TX. I am glad to have a friend willing to do good trades. 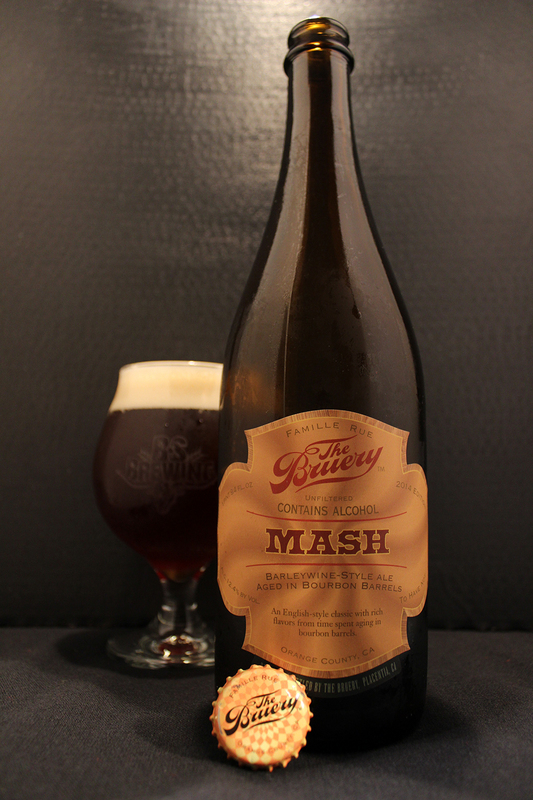 Mash is an excellent bourbon barrel aged Barleywine. Taste and aroma fall true to style while the bourbon barrel added some extra characters. 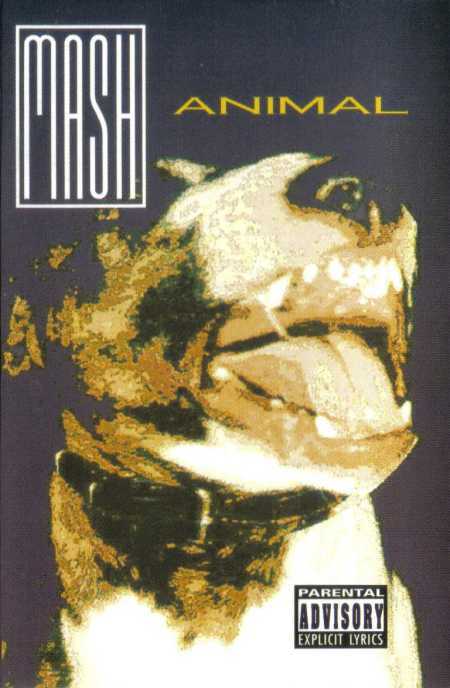 Metal Connection: Searching through the database of Metal, I stumbled across an unknown Thrash Metal band from Poland by the name of M.A.S.H.. Perfect fit if you ask me. Just like I love discovering new breweries and beer, I always find a trill in finding new Metal bands from around the world. This is my first encounter with this Thrash Metal band, and I will be seeking out their albums very soon, but that may be difficult as they are not a functional band at the moment and their albums were released on labels which seem to also be non existent any longer. The one song I was able to find on YouTube is the opening track from their 1995 full length album, Animal. The song is called “Valer.” This song has some real heavy influence from american bands like Coal Chamber, Prong, and even Ministry. The first 30 seconds of this song is a near rip off of the song N.W.O. by Ministry from their 1992 album. I heard this similarity right away. The Coal Chamber and Prong similarities come from the vocal style of Rafal Taracha. These comparisons can be heard throughout this song. This song Valer is pretty catchy though, despite these rip off moments. I am hoping that they are more of a tribute to their influences. Check out this little unknown band from Poland who began in 1990 and just faded out sometime after this album in 1995.